home jersey by Majestic. Available in newborn, infant, toddler and child size 4-7. 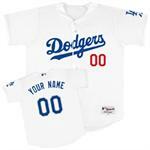 We specialize in customizing the authentic Dodgers jersey using only official twill material lettering with stitching. 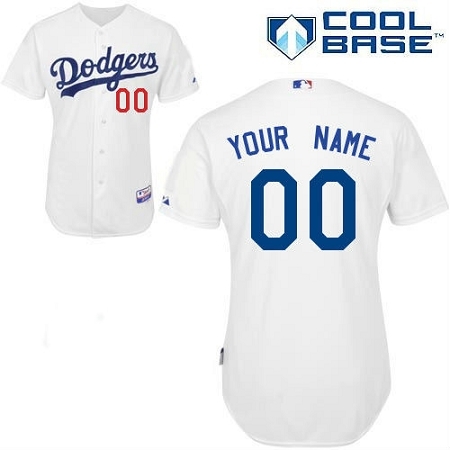 Customized name and number in the official Dodgers team color(s) and team letter font. Gift Wrapping can be added on "View Cart" page.